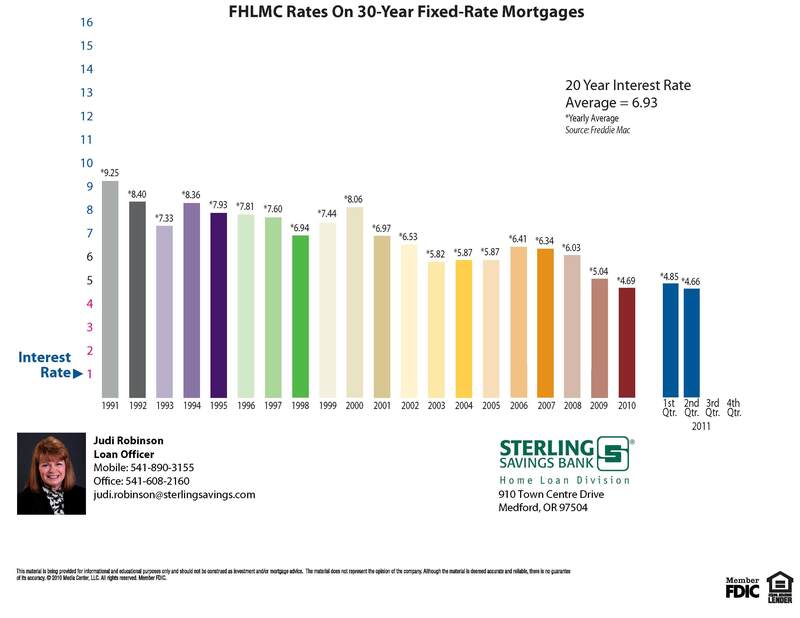 Here is a great graph that was given to me by a Ashland, Medford area lender that shows the 20 year interest fluctuations. 20 year average interest rate is 6.93% and we are currently around 4.65%. Another great reason to buy a home in the Ashland, Medford area.